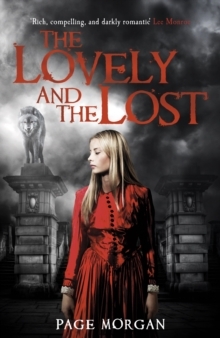 A compelling gothic romance set in Victorian ParisIngrid Waverly is a young woman to be reckoned with. Faced with her brother's mysterious disappearance after an abrupt move to Paris, she is determined to discover what has happened to him. Soon she and her sister Gabriella are drawn into a Parisian underworld more terrifying than they could ever have imagined, but watching over them are two impossible (and impossibly handsome) young men. Luc is a 'Dispossessed', an ancient gargoyle whose sworn duty it is to protect the humans who inhabit his abbey.